One of the hallmarks of healthy eating is seasonality and every month I’ll give you a rundown of some of the highlights of nature’s bounty starting with what to eat in April. By eating seasonally, not only do we save money, but our food is more nutritious and flavourful as well. It also reconnects us to our land, our climate and by shopping locally, to the producers and craftsmen who supply us our food. Since I’m based in the UK, I’ll be mostly following the UK seasons, but I’ll also mention some of the great produce available throughout Europe. Depending on where you live, some of the produce may be a little earlier or later than us, but unless you’re in the southern hemisphere, you should be able to follow along and get some good tips on what to eat. In the UK, we’re currently going through the hungry gap, that time of year when stored crops such as root vegetables, apples and brassicas are being depleted, while there is little in the way of fresh produce until May. There are however some highlights to look out for…….. 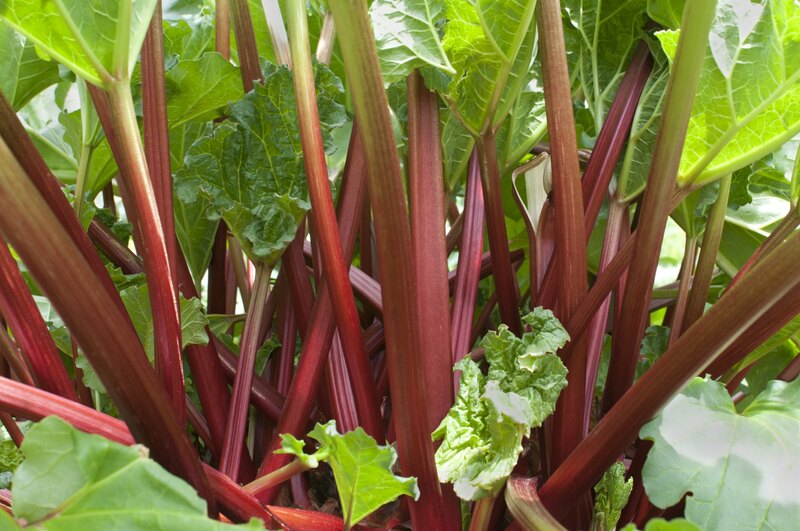 While the beautifully pink, forced rhubarb of winter is coming to an end, replacing it is the even more flavourful outdoor variety. Mostly utilised in sweets, rhubarb is also excellent with fish and has numerous health benefits including its ability to promote weight loss, improve digestion and even prevent Alzheimer’s. The leek season is coming to an end but they should see us through the hungry gap of April. Their sweet and subtle oniony flavour is great as the basis for many dishes, but they can also shine in their own right with a little white wine and cream. Nero believed the leek was good for his singing voice and became known as Porrophagus (leek eater) from eating so many of them. 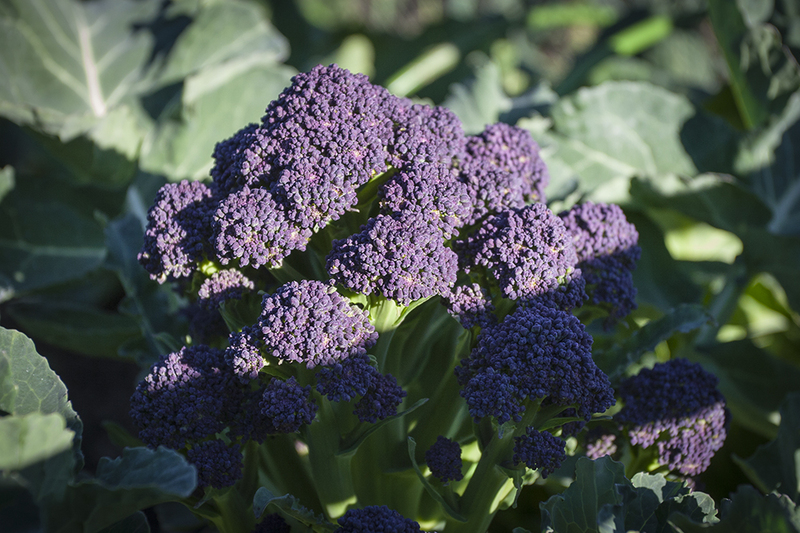 It’s also a good source of vitamin C.
Initially cultivated by the Romans, purple sprouting broccoli has been growing in popularity the last few decades and is at it’s best in March and April. Containing the powerful anti-oxidants vitamin A and C, as well as being high in Iron and potassium, purple sprouting broccoli can help prevent cancers, heart disease, osteoporosis and diabetes. It is delicious steamed, fried or roasted as an accompaniment to fish and meat but can also shine on its own. Combine it with anchovies, lemon and garlic to enhance its flavour. With us towards the end of April, asparagus is one of the highlights of the food year. 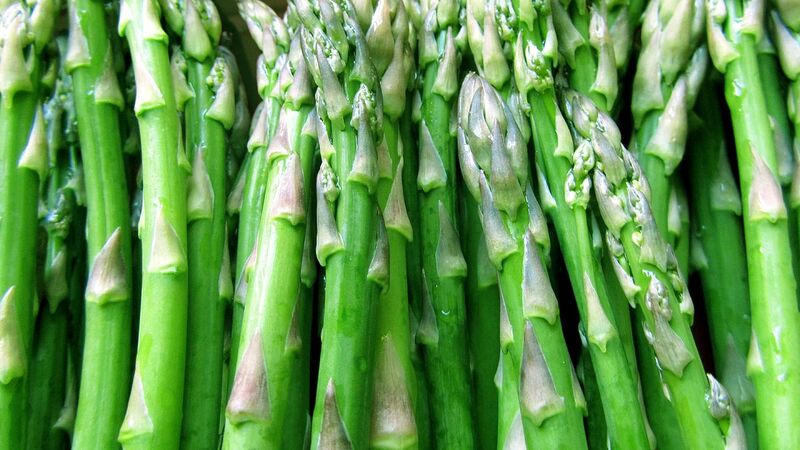 Best lightly steamed to enjoy its unique flavour, asparagus is great for expectant mothers as it contains more folic acid than any other vegetable. Great as a breakfast dipped in a soft-boiled egg or served with hollandaise as a decadent treat, it is also great dressed in vinaigrette or butter and with herbs such as chervil, parsley and tarragon. 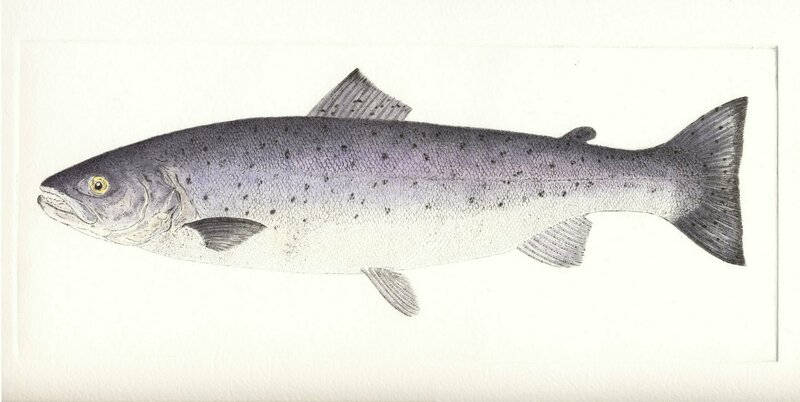 Since we have all but ruined the wild salmon supply in my native Scotland due to poor farming practices and overfishing, I have turned my attention to sea trout. Similar to salmon in colour, texture and flavour, it is more expensive than the farmed rubbish, but still cheaper than the wild alternative. Sea trout is a great sources of omega-3 which as well as reducing the risk of heart disease and cancer, has also shown to help with depression and anxiety. Stunning when cured with citrus and dill to make gravlax, it is equally outstanding poached, roasted or pan fried and can stand up well to strong flavour pairings. Treat as you would salmon. Overlooked by many, the delicate, sweet flesh of plaice is one of the most underrated gastronomic delights from the sea. The spawning season for plaice is one of the first to finish and they should be available through April. As well as a healthy source of protein, it also contains iodine which is vital for effective thyroid function. Best cooked on the bone or very carefully if filleted, it is outstanding served simply with brown butter and a squeeze of lemon. 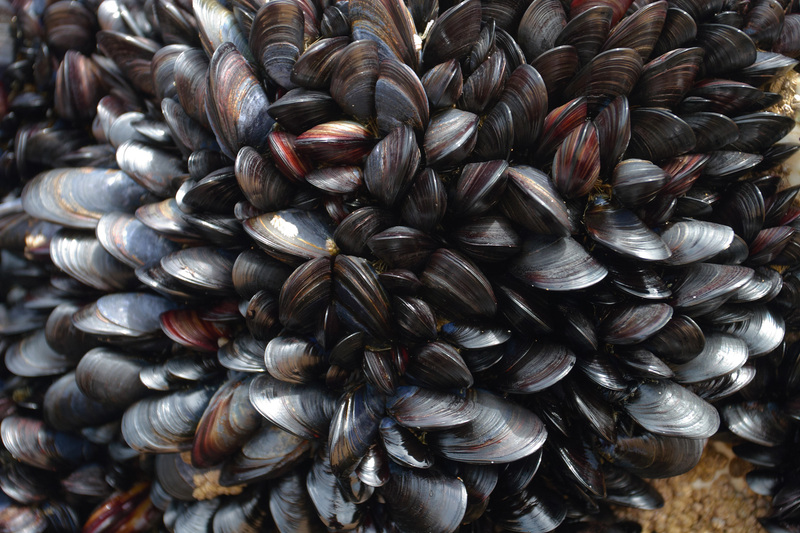 While the wild mussel’s season is coming to an end, the rope grown, farmed varieties are still available. Unlike the disastrous farmed salmon industry, farmed mussels seem to be good for the environment and are a sustainable source of shellfish. While you can buy mussels pre-cooked, the effort in cleaning and cooking them yourself will be more than rewarded with the delicious juices they release upon being cooked. Mussels can be roasted, but are perhaps best steamed in white wine, cider or even beer and finished with some cream and freshly chopped parsley. Mussels are a good source of selenium, vitamin B12 and zinc as well as containing folic acid, iron, calcium and omega 3. This month we can also utilise greens such as kale, spinach and watercress as well as some early salad vegetables like radishes and spring onions. In the UK, a particular highlight is the arrival of Jersey Royal potatoes, but other new potatoes will start to become available as well. We can also make use of any fruit and vegetables left in stores such as beetroot, carrots, pears and apples. While there is little fresh fruit in much of northern Europe until the late spring, we can still rely on some great citrus fruits from the Mediterranean to see us through. We will start to see spring lamb available towards the end of the month and if you prefer your lamb with a milder favour, now is the time to get it. That should give you plenty of ideas for some delicious and healthy meals for the month ahead. If you have any questions, fire away in the comments section and let me know what culinary delights you’ll be making this month. I’ll also be posting recipes throughout the month starting with a Scottish classic, so stay tuned for that.